Tithing Office when it was two stories tall. Did you know the old Tithing Office is still around? In the late 1800’s and early 1900’s, members brought their eggs, hay, apples, and other goods as their tithing payment since cash was so hard to come by. 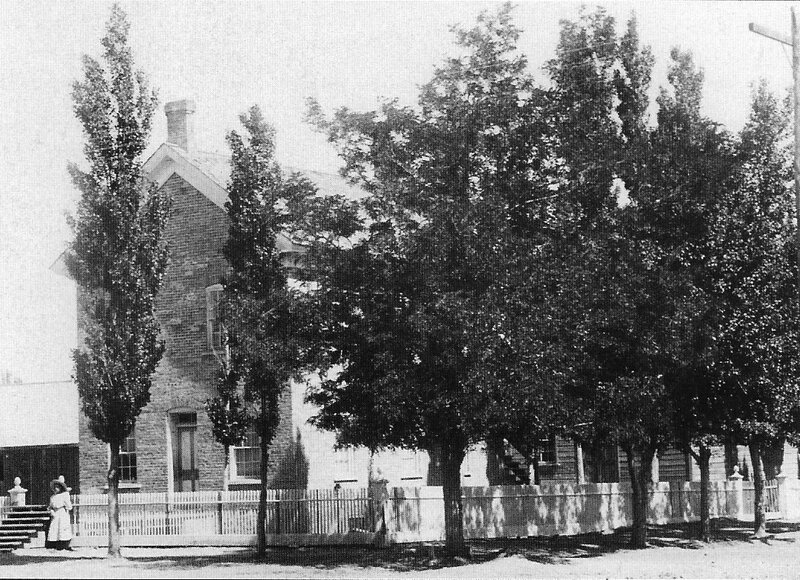 The Tithing Office was located on the main street on the corner across from the old high school (now the County Annex). It was originally two stories high. The building today is only one story and is currently owned by Lawyer’s Title. Notice the door in the back outside leading to the basement. Most of the tithing food items were kept in the coolness of the cellar underneath the building. David K. Udall was the first President of the St. Johns Stake, Elijah Freeman and William Gibbons were his counselors. David K. Udall served as Stake President from July 23, 1887 to 1922, a span of 35 years. 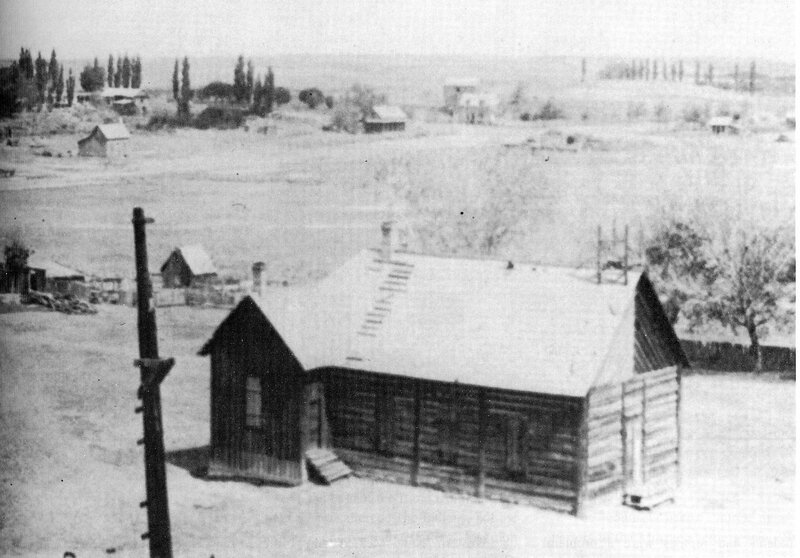 The St. Johns Stake included St. Johns, Springerville and Eagar, Vernon, Rama, Sanders, and Gallup New Mexico. Travel was slow and the means of communication were difficult. After being released as stake president, Pres. David King Udall was called to be the first president of the Arizona Temple in Mesa, Arizona. First permanent LDS meetinghouse of the St. Johns Stake. “On July 23, 1887, the St. Johns Stake was organized. . .In this worldwide Church of Jesus Christ of Latter-day Saints, the “St. Johns Stake is among the oldest of the stakes. In the early days of the Church, twelve Stakes were formed in Ohio, Missouri, and Illinois and elsewhere along the middle border. It was, of course, necessary to disband these units when the Saints began their exodus to the Great Salt Lake Basin. Other stakes have come and gone. Consequently, there are only twenty-five stakes in the Church older than we are. . . .” As we celebrate Pioneer Days, let’s remember we also celebrate the organization of the St. Johns Stake. This is the St. Johns Stake Academy building completed in 1899. 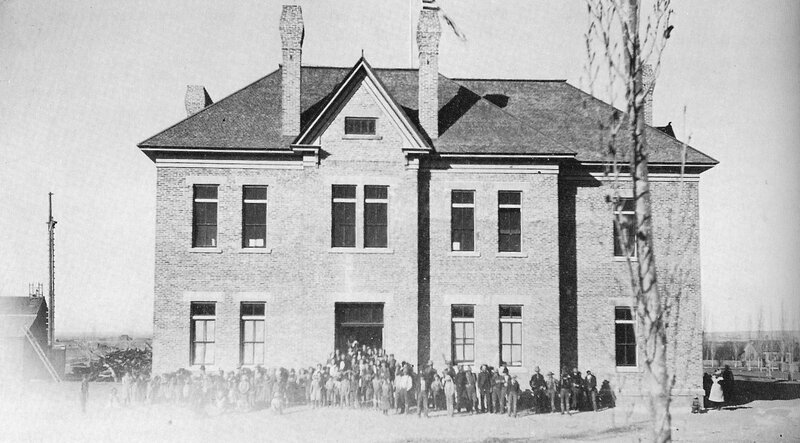 For twenty-one years the St. Johns Stake Academy building served as a combination church school, ward meetinghouse, and the stake center. Then in 1921, the cut-stone high school building to the west was erected, and the academy building was no longer used as a school.